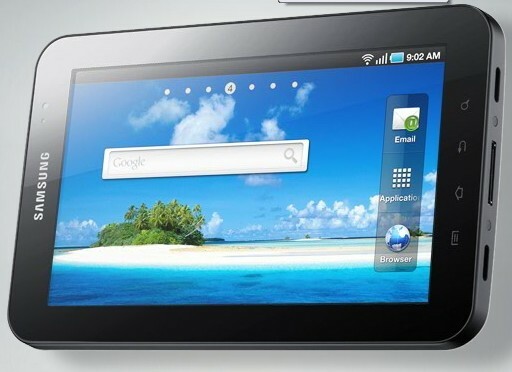 So far, in this year we have seen Android tablets from Dell, ViewSonic, Archos, Toshiba and a few other companies. Samsung today joined the party by announcing the new portable web tablet called the Samsung P1000 Galaxy Tab. The Samsung Galaxy tab is a seven inch wide Android 2.2 Froyo based internet device, which is also a phone. As you might have heard, various models of Samsung Galaxy S smartphone have already sold more than one million units in US itself. Samsung except that they will sell around 10 million units of the Samsung Galaxy tab by next year. The Galaxy tab would be launched at a cheap price point to attract the mass market segment. It is not wise to compare any other tablet with the Apple iPad. Already a leader in the market, Apple iPad would outsell all possible competitions with the introduction of multi-tasking in this fall. However, the price of the iPad is a bit higher, and this is the reason for its less popularity in developing nations like India. Other tablets manufacture like Samsung sees this point as the possibility to market their devices. So beyond iPad, the tablet war will be based on the price. The Android Froyo powered Galaxy tab is not much inferior to the iPad. Galaxy Tab is lightweight and more plastic in design. The phone functionality is something that will oust all the other competitors. The Dell streak, in the other hand has the phone, but runs an older version of Android. The Galaxy tab doesn’t have the AMOLED screen like that used in Galaxy S -again that would be for reducing the price. It has seven inches TFT display with 1024 x 600 resolution, which support 1020p HD videos. Galaxy Tab comes with two cameras, one 3MP with flash – in the back, and a front 1.3Mp video call camera. The display used in Samsung Galaxy Tab will support multi-touch and there are a lot of sensors, including an accelerometer to aid the user interaction. The browser, gallery, map application all are multi-touch enabled. Like that in Galaxy S, there is Swype keyboard functionality for quick typing with the touch. The 1GHZ possessor and 512MB RAM in the Galaxy Tab would make the background task work faster and smoother. We are not sure if it will support all applications in Android market place due to the large screen size. However, there will be some inbuilt application to serve the basic needs. The Adobe Flash player, Readers Hub electronic book reader, document editor, Microsoft Exchange, are few examples for inbuilt software. The Galaxy tab is the first DivX certified web tablet. It is also the first tablet to support the latest Bluetooth 3.0 standard for faster data transfer. Other specifications of Samsung Galaxy Tab includes WiFi, A-GPS, HDMI out, and long lasting 4,000 mAh battery. The Samsung Galaxy Tab has a quad-band GSM, tri-band 3G connectivity. Therefore, it will support almost all mobile networks in the world. 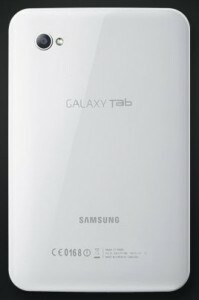 Galaxy Tab will be available in white, black colors and in 16GB, 32GB variants. There will be a storage card slot that supports up-to 32GB expansion. As per the Samsung Executive at the Samsung Galaxy Tab launch conference, they will launch the device by September of this month -first in Europe. Thereafter the Samsung Tab will be available in US and Asian counties by the end of this year. Samsung hasn’t announced the price of Samsung Galaxy Tab. However, we believe that it will cost around 600-700 USD without a data plan. So when available in India the price of Samsung Galaxy tab would be around 29000 INR. Rs. 20k/- in India? I don’t think so. You might wanna do a check on the price estimate again. Its a really Cool Tablet!!!! Much better that Apple iPad. I thought it will take atleast 6 months or a year for Galaxy Tab to be launched in India, but one of the Indian website (www.shopyourworld.com) is selling it through Amazon UK. Its due to launch in UK on 1st November. 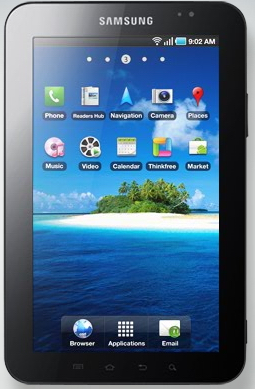 Kindly provide with me the Authorised Distributors of Samsung Galaxy Tab’s in Kerala, India. I think Galaxy Tab is great rival to iPad. Galaxy Tab 2 seems even more cool than this one.